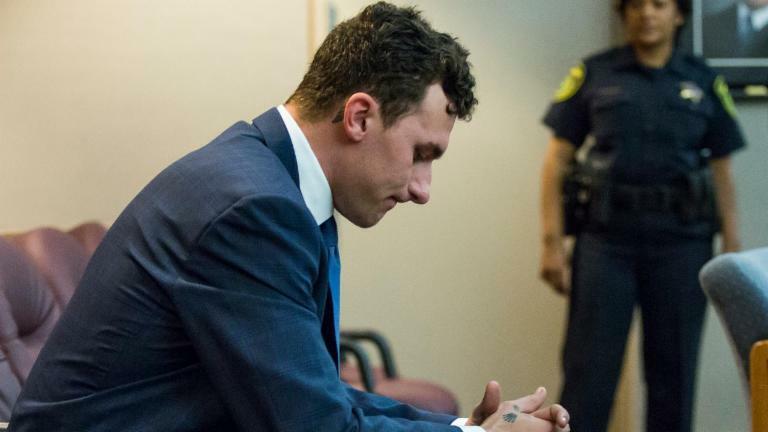 It's been a concerning 2016 for former Cleveland Browns quarterback Johnny Manziel -- one that began with reports that he'd been going to team practices while drunk, and has recently resulted in court appearances regarding domestic violences claims. Through it all, though, Manziel hasn't sacrificed having a good time. Several times every week, it seems, there's new footage of the quarterback at a club or party, seemingly ignoring both his personal issues and his pursuit of an NFL job next football season. Concern over Manziel's well being has been expressed for months -- particularly by his father, who said he may not live to see his 24th birthday. Now, his friends are beginning to feel the same. "He's in a horrible downward spiral," one source told TMZ. There have apparently been several attempts by those close to Manziel to stage an intervention. "He flipped out and would not hear it," according to TMZ's source. "If he continues this way for much longer he will die," another source said. This offseason, he's been seen partying in Los Angeles, Las Vegas, Miami, Dallas and at Coachella. Last we saw of Manziel, he was booted from a club for punching a man in the face. Manziel's friend's came to TMZ with these claims in the hopes that it serves as a wakeup call for him -- but if nothing this offseason has scared the 23-year-old straight, it's unlikely anything will.